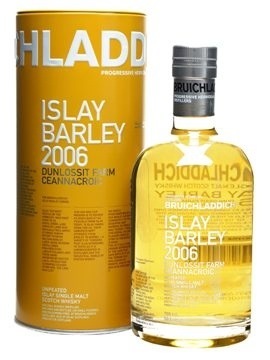 This Islay whisky, distilled on 30th June 2004 at Bruichladdich Distillery, has been matured in a bourbon barrel for over 9 years. The cask was heavily charred, with several litres of charred wood being collected in buckets from the empty cask. This has been filtered out, although very small particles may remain in the bottle and are only visible when the bottle is left standing for a period of time. The whisky has not been chill filtered, nor has any colouring been added. It has been lightly filtered to remove large particles of wood sediment from the cask, but may still contain small traces, which are visible only when bottle is left standing for a period of time. The cask yielded 273 bottles at 50% vol. More resembling the Islay barley profile than the classic laddie. No smoke here, is is a powerful and rich honey lemon mix with a bouquet of blooming flowers. There is a minute element of the maritime in the background. Some seaside saltiness in the air. A rich vanilla joins with time in the glass and more barley sugar sweetness. More floral and oak spice comes in time with a pepper heat. Quite sweet, but dry at the same time, lots of honey and vanilla, a little toffee. Some citrus. The maritime notes come through mid palate, with some sea salt and iodine. Pepper spices are present throughout. The development carries onto the sweet side, a very rich flavoursome laddie. Long finish. The citrus fruit remains and the sweetness of the barley oils feel very good all the way through to a drying end. A little sawdust, oak spice is at the very finale. Adding a small drop of water to bring on the mist. The nose has added intensity, the lemon citrus notes are expanded with added honey. Floral and oak spices also provide balance. The nose is reminiscent now of the Islay barley expression but with added age and depth. The palate, while lighter in the mouthfeel, expands the fruit and toffee notes. It is very chew, sweet sugar also expanding with an added creaminess. The finish retains this new creaminess, and smooth texture. A really nice complex single cask from Bruichladdich (care of whiskybroker). 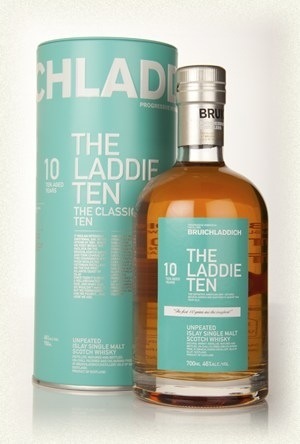 It’s very Bruichladdich, but also has some nice variation. Having tasted and reviewed the 10 year old and Islay barley just before this whiskybroker release I can say this is a very interesting middle ground. It has elements of both of those previous expressions, but added uniqueness in the intensity of the flavours. There’s no smoke here if your not a smoke fan, just a whole lot of flavour and aromas to explore. Considering the 50% strength the nose doesn’t burn at a good inhalation, and this dram requires some deep inhalation. Quite immersive a nose. Some vanilla, lots of lemon, lots of honey, kind of lockets (throat sweet) mix going on. It’s easy sniffing, energetic, but accessible. It was described to me at a tasting of a breakfast dram. Agreed! There’s some barley grain coming through, cereal notes, biscuity. Well, this is 5-6 years old, it certainly doesn’t smell that young. From the glass you can see this is a very oily dram, the mouth confirms this. Very mouth coating and pleasurable. The honey lemons are very forward, some vanilla joins in with a little cereal grain notes. Pepper wood spices also present. It’s quite simplistic, but oh so rewarding in the feel good factor. 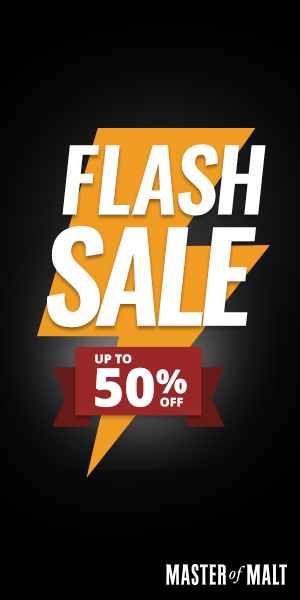 The strength while at 50% doesn’t feel it, and it is easy to drink undiluted. Sweet, lemon oil, short-medium, drying out and remaining citrus rind and some wood tannins. Easy drinking undiluted, but need to try to add a little water for experimentation sake. The nose actually gets more intensive with water. More honey and lemon, and some floral additions come in to the fray. On the palate the flavours come more intensive also, added sweetness, buckets of honey and lemon and citrus peel are joined with some oak spice, grass and flower softness. It’s very chewy and exceedingly sip able. The finish remains soulful and that feel good happy factor is just bursting through. Definitely a breakfast dram. It’s not an epic, complex dram, but it is full of flavour, and the enjoyment factor is off the scale. It’s an easy dram, a starter for a session, but the thing is. I don’t think it will be easy to move onto the next dram, because I just want another one of these! Smokey fruit stew. For an un-peated dram, it’s got some real smoke in the nose. The fruit is rich and has some great depths. Feels older than 10. We have overripe melon, ripe lemons, citrus rind, some light vanilla and honey all with a smokey BBQ coating. There’s a little meatiness in the background of the BBQ. Getting some seaside, maritime notes now. It’s a compelling, complex nose, which continually evolves and intrigues in the glass. Savoury, some dry fruits, smoke, saltiness. Medicinal notes come through mid palate. Fruit continues through the development, that mixmash of stewed and overripe citrus sings about the place. Mouth coating, drying, smoke and maritime remain. It’s not massively maritime or peaty like many islay whiskies, but it has enough to make you know this is from the island. This is quite easy going at undiluted strength. But adding a small drop of water to see what’s what. A little less maritime and smoke on the nose. Fruit comes to the forefront. The palate is lighter on the mouthfeel, but remains similar in flavour profile and development in the mouth. It’s overall quite a bit crisper and lighter. The finish is less smokey, and sweeter. Personally i prefer this one undiluted. 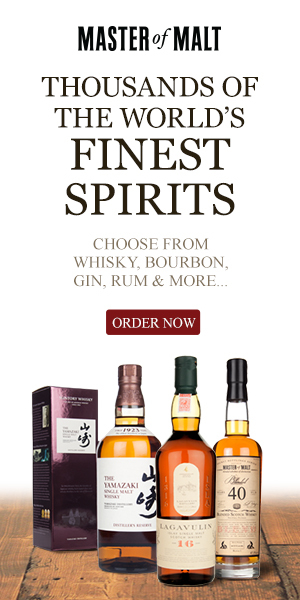 This is a unique whisky. I’ve been a fan of this whisky and Bruichladdich since early in my whisky journey, just never got around to writing about it. I love the 10 year old, it’s a stable dram, complex undiluted and worthy of lengthy investigation. A true journey of smell and taste. Dominated by fruit. Apples. Pineapples. Lemon rind. Lots of wood spices. Pepper. Dusty toasted oak. Vanilla. Burnt toast. Lots of sweet toffee. Fundamentally oaky with lots of gentle wood spice and a little pepper heat. There is a chewiness to this dram which I wasn’t expecting. A lot of rich vanilla also dominates the palate. The development turns dry into the finish. Dry. Lots of wood spice. Spiced vanilla, a little toffee. A small drop due to the bottled strength. The nose looses some of the fruit elements in favour of toffee sweetness, vanilla and oak spice. The palate remains the same, now with the nose more representative of the palate. The finish is more oaky, with some added sawdust. This is a nicely balanced, well aged and constructed dram. It is however, very woody and uncomplicated. If you like your drams with buckets of wood spice and vanilla this is for you. 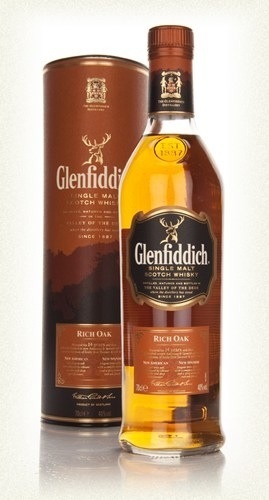 Personally I far prefer other whiskies in the core Glenfiddich range, with my favourite being the 15 year old Solera reserve. So far anyway, I still have the 21 year old and Snow Phoenix expressions to try in the near future. Welcome to sherry heaven. Rich, heavy, sherried dark fruits. Thick fruitcake. Intensive sherry oak spices. Nutty aromas are well integrated. Coffee mocha. Mouth coating. Sweet and savoury. Heavy sherry raisins and fruitcake. Fruit and nut chocolate. Coffee in there as well, a little spiced orange. It’s like a bag of revels all melted into one and sherried the hell out of! Some cinnamon and anise linger in the background. Long and resiliently sherried. The fruit and nut sticks around for a good while, with the finish drying out into some wood spice and a little sawdust. It’s very moreish and demands much attention and sipping. Adding a reasonable drop of water to my dram. I’m sure it can take it. With the alcohol levels toned down the balance of smell becomes more levelled out. Easier to identify and savour. More spices come through in the still heavily thick sherried fruitcake stew aromas. The palate reflects the diluted nose with more spices, and balanced fruit, with the sherry still very much dominant and in control. Luscious. The finish is full of all the good stuff. Fruit and nut nd chocolate and coffee and pleasure and joy, excitement and happiness! 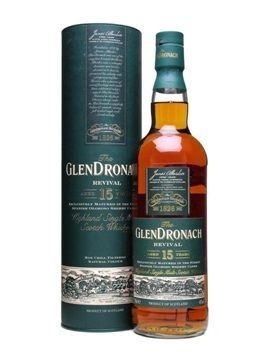 Glendronach is one of my favourite distilleries, so I am a little biased. I must admit, I’ve done Glendronach a little backwards. I got into their single casks before trying their standard, core releases. This 15 year old being the first core release I’ve tried in depth. It’s a remarkable dram, with shed loads of flavour and pleasure to be experienced. 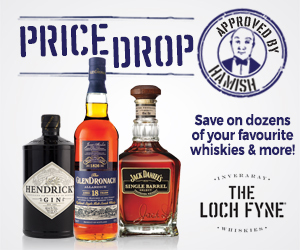 Can’t recommend it high enough for those who like their whisky experience sherried. It’s really quite the bargain. Rich, deep, thick. You can smell the colour! And the colour is rich as anything. Dense Vanilla, Treacle Toffee, toasted caramel. Fruits come in are stewed in the same caramel (cajeta) toasted sweetness, bananas, oranges, some christmas spices round things off also. Time in the glass and come chocolate notes mix in with that toffee. It is a sweet tooth’s heaven of a dram. Mouth coating. Very oily and silky around the palate. Warm, but still capable to drink at undiluted strength. The burnt sugar notes dominate the undiluted palate, some background stewed bananas. Toffee thickness is there, but a creaminess also coming through. Nutmeg features on the spice side of things, and a little honeyed chilli heat. Sweet, thick sugar coating glory turns to dry tannins. Hangs around for a medium finish. Chest warming and has a nice positive feel to it. Added a dollop. The nose exhibits more sweetness now, its easier to nose and gives more depth to the sugar (now maple syrup comes in) and fruit. A separation allowing for deeper analysis of the dark chocolate, toffee encrusted, figs, and christmas cake-ish aromas. The palate enhances also, sweeter, yummier, with all the same rich, oil mouth coating goodness. Finish, seems longer to me, with the transition from sweet to dry taking a little bit longer and a finer journey. Its a properly beautiful dram. Thoroughly rewarding. Salted Popcorn, with a touch of butter. Quite woody with some toffee, vanilla, oak spice, thick honey. Milky cream notes, definitely of the Full Fat Gold top variety. Its very rich! Its aromas feel like its much older, and stronger than the ABV. There are some tropical fruit notes of pineapple and a little mango, a real minatory. Damn ‘tasty’ nose. Time in the glass gives some herbal notes. Oily again, great mouthfeel on it. Dryness though, it does have a dollop of the sweet toffee/honey/sugar going on, but dryness is present up front. Its so easy going though. Immensely smooth, tasty and just plain easy drinking. Its like drinking the smoothest caramel, chocolate, honey concoction with a big smile on your face and warmth in the heart. Dryness in the tannins, with warm sugar and tropical fruit chews left hanging around. Its another top dram, which is making me feel very good indeed. A small drop added. The nose has become much more floral now, sweet shops, parma violets dominate the diluted nose. The palate still coats my mouth world with joyous things. So much sweet and dry, and special toffee with some special spices thrown in. Dammit this is some good stuff. Baby Blue with added OOMPH. Caramelised Treacle Toffee in a breather! Its OOOOoooo, and Ahhhh, and just plain pornographic in its unashamed sexiness! Rich, chocolate, toffee, burnt honeyed sugar. Sherried even though I know sherry is nowhere near this dram’s maturation. Maple and Molasses. Loads of spice there as well, nutmeg, cinnamon. A lovely balance of everything. 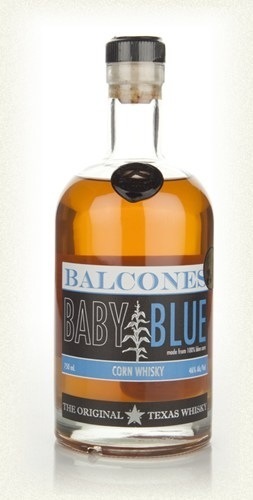 When I tried a cask strength of this for 12dramsofxmas I thought it was A’bunadh. Loads of Christmas spices, christmas pudding/cake, orange, chocolate, sherried dark fruits. Yummy Yum Yum. Everything I love about a well sherried dram, however, this got nowhere near sherry. Eh!??! Oh my. A long and fabulous finish. Drying out slowly, but all the remembrance of the nose and palate come and go, chocolate oranges, spicy fruitcake, Sherried Plums. As it dissipates the warmth and deep joy resonates through. This is a total feel good dram. And I feel good! Small dollop added. If anything it gets deeper and I’m lost. Its the same aromas, but more exposed and opened up. The palate has added sweetness and viscosity. It feels sentient and invading your every tastebud. Cant get over how sherried this non-sherries dram is. Vanilla most definitely. Rich Almond Marzipan. Cherries. Citrus peel. Lots of wood spice. Cardboard (in a good way). Charred oak. Burnt sugar. Dried fruits (saltanas/currents). Undiluted this is very drinkable. A little burn there, but loads of vanilla sweetness and chewy goodness going on. 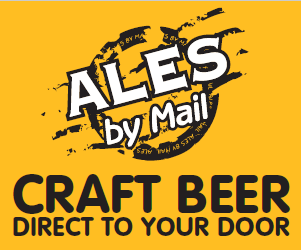 Very fruity in the delivery, with dried fruits and chewy toffee and honey confectionary. Candied corn, and general all round sweet tooth’s joy! Alcohol bite, but fruity joy. Its a deep dram, one to contemplate things over. Drying oak spice, vanilla sweet. Its bloody good bourbon! JD can FO! Couldn’t be any more different to the nose! There is definite smoke infused, but the palate is sweet initially, rich sugars, then some smokey bbq meat is there, continuing with the honeyed ham now, more honey than ham. Then chewy vanilla, oh and here comes the smoke again. Cigarettes and Cigars, an ex-smokers nightmare! Smoke! Cigars and cigs! BBQ meats come back. So long a finish! Dash of sea salt on the ham hock! Good dollop added. Smokier! The nose is giving off loads more rubber fires and BBQ meat aromas. The palate, lighter, some added sweetness, but also has a little more richness to the BBQ elements. The palate also gives up a little more saltiness adding to the balance, and some additional spices in the form of pepper. Finish, is saltier, drier, pig skin comes back again to play! Its an amazingly unique and different dram. Well, what can I say. Lots of favourites here. I love the True Blue most being a sherry head. But the Brimstone has such a unique, individual profile that it just has to be tasted. 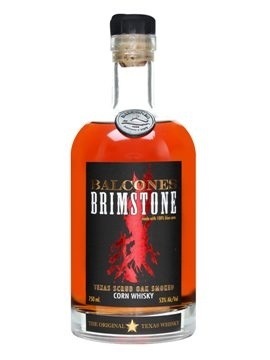 Any whisky person never having tried Brimstone is like a wino saying they never tried Rose. It just shouldn’t be…ever! 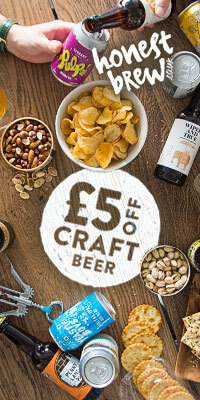 Fancy trying all of these at a fraction of the price. How about a tasting set. 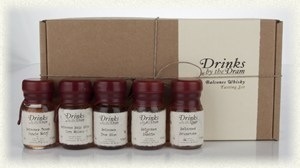 MasterOfMalt do a Balcones tasting set consisting of 5 of their drams for a very reasonable £26.44. Check it out here. 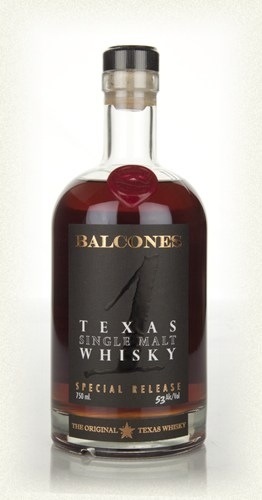 Thanks to Steve at the Whisky Wire, and Balcones for my participation in a fundamental and totally amazing Tweet Taste.